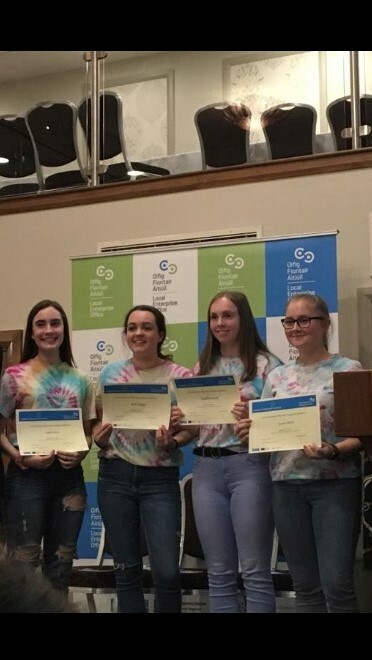 TY mini company “TY TEES” who represented the school at the Dun Laoghaire – Rathdown county finals of the Student Enterprise Awards on Thursday 21st March. The girls involved were Ruth A, Saidhbh F, Laura H and Isabel R. The girls were awarded a merit for their communication and teamwork skills and they also came 1st place in the PowerPoint competition. A huge well done to the girls involved.